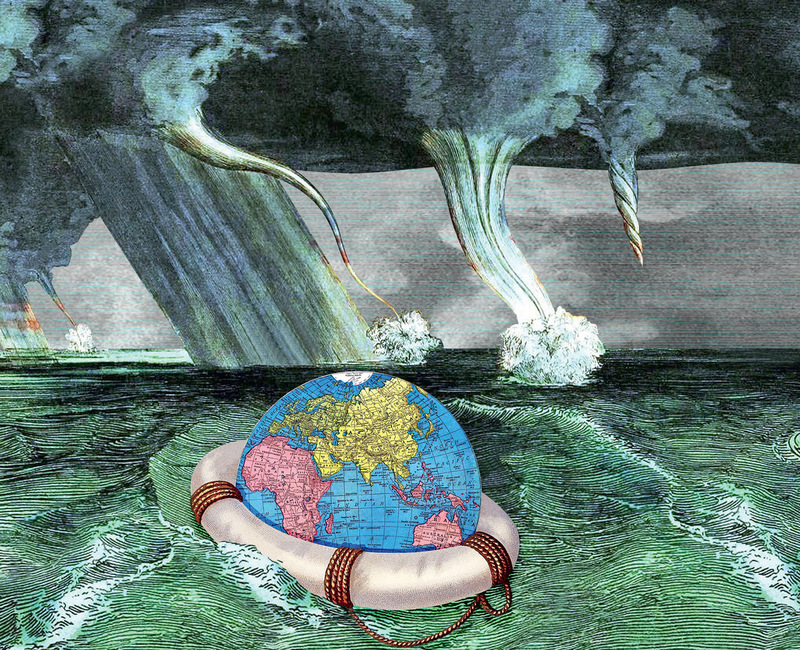 The title of this piece comes from Naomi Klein’s excellent book on climate change. There Klein makes the case for a sharp turn away from the looming doomsday that predatory capitalism wilfully refuses to see. But some of the historic alternatives to capitalism have also been blind to this. Before the 1960s, among the notions that the Left shared with capitalism were the centrality (indeed, absolute necessity) of economic growth, a concept of progress dependent on the exploitation of the natural world, and an almost unqualified belief in the beneficial nature of science and technology. The gospel of progress, born in the Enlightenment, held that the future of humanity must depend on ‘the conquest of nature’ to provide the good life. Division came over how this was to be brought about – through the state or through the market, by the bourgeoisie or by the proletariat, and so on. With the gradual birth of ecological consciousness – landmarked by the publication of Rachel Carson’s 1962 classic Silent Spring on the effects of agrochemicals and the 1970s debate over limits to growth – a profound unease about the assumptions underpinning our productivist society has been gathering momentum.1 Is the widespread use of chemicals in industry and agriculture poisoning our own habitat and that of other species? Is our dependence on non-renewable resources and their rapid depletion putting us in a position of running on empty? Are we turning what should be renewable resources (soil, fish, water, forests – even air) into rapidly depleting non-renewable resources by ‘mining’ them with heavy technologies (building mega-dams and draining aquifers; using trawler fleets and driftnets; allowing agro-chemical runoff, soil compaction and desertification; clear-cutting forests)? Is our dependence on carbon endangering those who live in coastal areas, river valleys, or other habitats vulnerable to extreme weather and other consequences of a global temperature rise? These questions loom increasingly large, casting a shadow over not only capitalism but any orthodox alternative to it. The dismal communist record on the environment can been seen in the dried-up Aral Sea between Kazakhstan and Uzbekistan, the radioactive protection zone still surrounding the Chernobyl nuclear reactor in Ukraine, and the looming water and energy crisis in China. Under communism, the triumphalist Stalinist mega-project – redirecting rivers, huge hydroelectric dams, soulless high-rise apartment blocks – were the sine qua non of progress. The collapse of the Soviet bloc actually slowed global climate degradation, at least temporarily, as dysfunctional polluting industries went to the wall. Today, only Cuba, with its emphasis on alternative energy and organic agriculture, stands as a partial alternative to sacrificing the environment on the altar of economic development – and even there it is not clear if ecological initiatives are being carried out through conviction or due to necessities imposed by a Soviet collapse and a US embargo. Only time will tell. Elsewhere, as with the late Hugo Chávez crafting a form of petro-socialism in Venezuela, short-term advantage seems to be trumping long-term ecological sanity. The history of the post-colonial Global South is marked by nationalist governments, often describing themselves as socialist, that champion development no matter what the ecological costs. An ecologically coherent Left must come to terms with its own productivist roots if it is going to mount a convincing critique of capitalism. The Left must recreate itself by reorganizing around a programme of eco-sanity and challenging a process of growth that is not only moving too fast but also in a clearly unsustainable direction. It is by now pretty obvious that both inequality and growth are built into the very DNA of the capitalist system. Capitalism can never be about selling us less, living in a more modest way, or reducing inequalities so as to allow us to share within our own societies – let alone the planet as a whole – in a sustainable fashion. The ‘me first’ ethics that underpin consumer culture are in sharp contradiction to the mutuality needed if we are to find a collective way to live more lightly on the earth. A more basic challenge to the social and ecological wreckage capitalism is piling up is essential. Just a few basic facts are sufficient to show that the current desperate search for new sources of growth is heading us towards oblivion. First, growth rates across the industrial world have been declining for decades. There are no signs of a reversal of this trend – just the opposite. So it makes good sense to seek a different measure for our economic wellbeing aside from growth. Second, the negative impacts of the growth fetish, both ecological and social, are accumulating to a frightening extent. We would need five or six planet Earths if the whole world consumed and polluted at the same rate as US citizens (about three planets by European rates). You could explore a range of other issues – such as soil and fresh-water degradation – and arrive at similarly alarming conclusions. Of course, it is true that the ecological footprint is badly skewed in favour of the wealthy. It would take a number of fair-sized African villages to have the same ecological impact as one upper-middle-class multi-vehicle-owning family commuting into New York or London from the affluent suburbs. Inequality is the other major consequence of skewed capitalist growth. The Occupy movement, protesting against the one per cent and its lightly taxed paper wealth, is just the latest symptom of disenchantment with such obscene disparities. It is here that red and green preoccupations can rub up against one another in an uncomfortable fashion. For those of an ecosocialist persuasion, it is essential that the costs of slowing growth are borne in an equitable manner. This means that the basic needs of all populations must be taken into account and the reductions associated with diminished growth possibilities, whether planned or unplanned, be applied first and foremost to those with an opulent lifestyle. It is easier to imagine this happening if degrowth takes place in a thought-out fashion rather than through an unplanned application of ‘lifeboat ethics’ that allows the powerful to protect their privileges while the vulnerable go to the wall. But have no doubt – degrowth there will be! It is just a question of whether this will result in equitable and democratic social arrangements or in gate-guarded communities serviced by underpaid workers and surrounded by large populations of environmental refugees. Any alternative to capitalism needs a post-growth future. There are by now many strains of Left ecological thinking trying to hammer out just what this might look like. There are the beginnings of a degrowth movement: this started in France and Spain and is now spreading to North America. There is a social ecology movement inspired by the writings of Murray Bookchin. There have been several attempts to fuse the socialist tradition with environmental concerns. Political theorists James O’Connor and John Bellamy Foster have explored such a synthesis in their writings. These are being underpinned intellectually by the burgeoning field of ecological economics, led by such notables as Herman Daly and Joan Martinez-Alier, as well as by a mounting body of climate and other environmental science that continues to reveal the deadly trajectory of the current growth obsession. From the Global South comes an indigenous perspective based on the defence of Terra Madre, a competing tendency within the Latin American Left. Elsewhere, movements of resistance in Africa and Asia are working to defend the survival economy on which the rural poor depend by standing against deforestation, in defence of watersheds and in defiance of mega-projects designed to fuel various ‘economic miracles’ built on sand. The notion of a different, more equitable, development strategy has long been a counterfoil to the globalizers’ obsession with GDP growth. It has by now reached the point that any alternative to capitalism which does not accord the ecological survival of humanity a central place simply cannot be taken seriously.